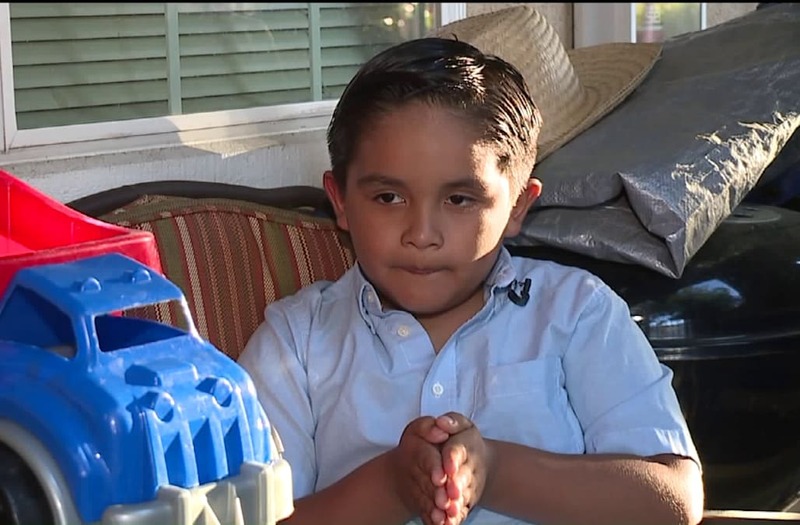 SACRAMENTO (KTXL) -- The Serna family credits 5-year-old Joshua Serna with saving their lives. On Monday, Joshua and his dad, Benjamin, were riding on a Sea-Doo along Lake Camanche, towing an inner tube that was carrying Joshua's mom, Oli, and two small children under the age of 3. That's when they say they heard Oli yell for help. The inner tube had started to go flat. A Northern California family is crediting a 5-year-old boy who took action after an accident on the Sea-Doo they were riding. Joshua's mom wasn't wearing a life jacket and she started to go under the water. That's when his dad jumped off the Sea-Doo and began to swim to her. After handing his wife his life jacket, he began to go under the water, as well. They say they yelled for Joshua, who was at a distance from them, still on the Sea-Doo. The family says Joshua was able to turn the personal watercraft back on and drive out to his family. They say the first time he rode by he wasn't able to get close enough to them, so he had to turn around and try again. This time, the family says Benjamin Serna was able to grab hold of the Sea-Doo and hold on. The family was eventually able to make it back to shore. Benjamin Serna and the two younger children were taken to UC Davis Medical Center. Benjamin Serna had to be held overnight. Thursday everyone is doing better, and they all credit Joshua and God for saving them.